The following is an exclusive excerpt from Nothing is Forgotten, a new historical mystery by award-winning journalist and historian Peter Golden. In the following passage, a boy reflects on a childhood in paranoid 1950s America. Still, some of the history was unavoidable because we seemed different from the other families in South Orange and Maplewood, a pair of subur­ban Edens with houses in every style from redbrick Federals to flat-roofed split-levels that resembled spaceships. Our neighbors were hardworking Jews, Italians, and Irish, along with some black families to prove no bigots breathed among us, and at the top of the food chain, a papery-skinned layer of Wasps whose chief purpose, as they perused the financial pages in the gin-soaked ambience of their restricted country club, was to provide some incentive for their social-climbing inferiors. I shook my head, and he smiled a little sadly—the Russian smile, my grandmother called it, like a weak sun in a winter-gray sky. I shook my head, and he smiled a little sadly—the Russian smile, my grandmother called it, like a weak sun in a winter-gray sky. Then he said that in 1934, at the age of eleven, he had landed at Ellis Island with his father, whose imagination was aflame with Yankee-Doodle dreams of strik­ing it rich, which was why he Americanized their surname from Dainov to Daniels, and my father’s first name from Lev to Lawrence. My grandfather died before I was born, leaving Larry Daniels to run his empire—Sweets, a candy store on Irvington Avenue, a five-minute walk from our modest Colonial in South Orange. Divorce wasn’t fashionable in those days, so my grandparents splitting up was further evidence of our family’s difference, but it—and the mu­tation of Dainov into Daniels—might have remained a minor puzzle had I not been the baffled owner of four first names. On my birth certificate, I was Michael, and that was the name my mother and teachers used. My father called me Mikhail, and to my grandmother I was Misha, short for Mikhail, or Mishka, an affectionate form of Misha. This left me with a touch of multiple personality disorder and was a point of contention be­tween my parents. My mother, a violet-eyed beauty with a pug nose and poodle-cut hair she dyed a shimmery copper, hated that my father spoke to me in Russian. She was born in New Jersey and lorded it over her husband, as though hailing from the Jewish ghetto of Paterson, with parents who worked them­selves to death in that city’s silk mills, qualified her to be next in line for the British crown, a view of herself fortified by the fact that after high school she had masqueraded as an Episcopalian to work as a secretary at a law firm in Manhattan that didn’t hire Jews. The class broke up as if I’d cut the world’s loudest fart instead of saying that I didn’t know. Miss Smethers, believing I’d cursed her out, marched me to Principal Furrie’s office and, before returning to the class­room, suggested he wash out my mouth with soap. The principal was a jolly rotund fellow who combed his hair east and west to hide his baldness. I explained that I’d spoken Russian by accident. 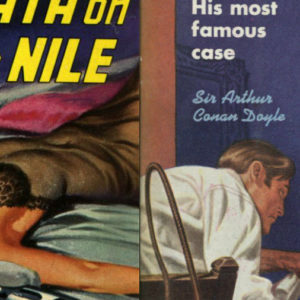 He nodded sympatheti­cally, then phoned my mother. For the last week she’d been going on about a sale at Bamberger’s—arguing with my father about her spending limit—and I hoped she wasn’t home. No such luck—she stormed into the princi­pal’s office, eyes blazing. Mr. Furrie told her what happened and asked if I’d ever been dropped on my head as a baby, which could account for my confusing two languages. This was the 1950s. Ethel and Julius Rosenberg had been sentenced to die in the electric chair for selling atomic secrets to the Soviets; Sena­tor Joseph McCarthy had accused everyone except President Eisenhower’s parakeet of spying for Moscow; and Hollywood was blacklisting directors, actors, and screenwriters if they’d ever taken a sip of vodka. 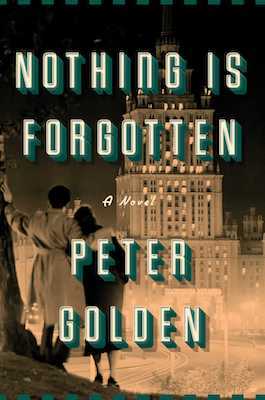 Excerpted from Nothing Is Forgotten, by Peter Golden, published by Atria. Copyright © 2018 by Peter Golden.